Researchers presented 80 adolescents, ages 11 to 20, with a visual filtering task. Participants were asked to respond as quickly as possible to a visual target while ignoring visual distractions close to the target’s location. Of the 80 participants in the study, 36 had autism. The study, “Brief Report: Flanker Visual Filtering Ability in Older Adolescents with Autism Spectrum Disorder,” was published in the Journal of Autism and Developmental Disorders. Christ is also the director of the MU Brain Imaging Center. 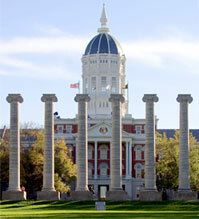 Kelly Boland, Janine Stichter and David Beversdorf at MU co-authored the study. Boland is a graduate student in psychological sciences. Stichter is with the Thompson Center for Autism & Neurodevelopmental Disorders and a professor of special education. Beversdorf is with the Thompson Center for Autism & Neurodevelopmental Disorders and is an associate professor radiology, neurology and psychological sciences. Funding for this study was provided by a grant from the University of Missouri Research Board, Autism Speaks (#2718), and the MU Thompson Center Scholar Program. The content is solely the responsibility of the authors and does not necessarily represent the official views of the funding agencies.